I always struggle with drinks of the Specific Carbohydrate Diet (SCD). I love water, don’t get me wrong. However, during the recent Irish heatwave I was craving a refreshing drink. When sugary drinks and juices are off limits, it can be difficult. I was craving something a little different. Lemon iced tea to the rescue! I often drank it from a can during hot summers spent in Italy. Of course, those ones were very much SCD illegal so I set out to create my own version. We are a nation of big tea drinkers. For us Irish, tea is pure comfort and often to warm us up from cold and damp weather. 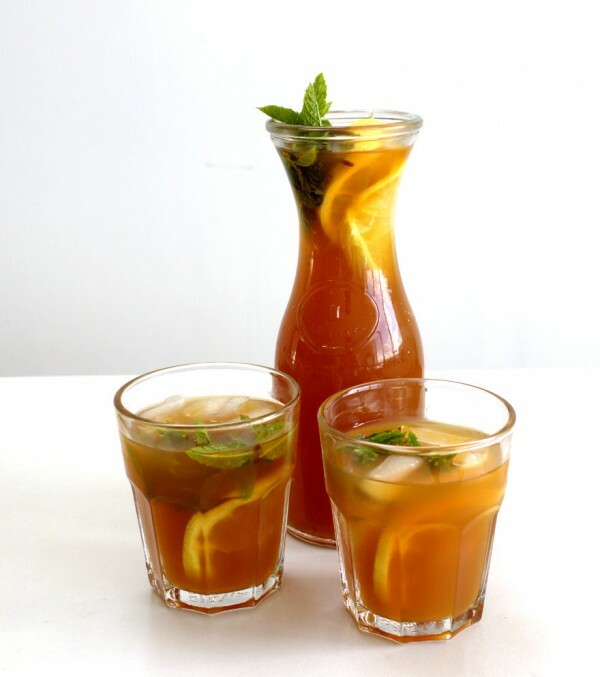 The tea you use to make this lemon iced tea is important. I used a really good quality Irish tea called Barry’s tea. People are divided on how long this should be steeped for and how much lemon to add. I like mine quite strong. 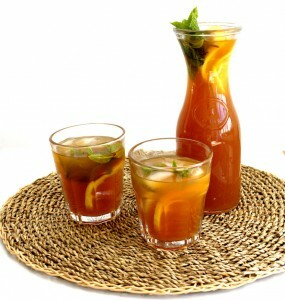 As you are soaking the lemon slices in the tea, buy organic lemons if you can. I always buy organic if I am using the zest of peel of fruits. This is great, easy drink to make if you are having a large crowd and looking for a non-alcoholic option. Boil the water and add to the teabags in a large saucepan. Allow to cool to room temperature then add three tablespoons of fresh lemon juice. Place in the fridge overnight. 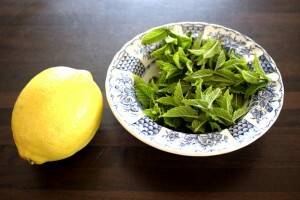 Serve in glasses with lemon slices, fresh mint sprigs. Drizzle with raw honey and mix well if desired.